As you may already know, we remodeled our bathroom. 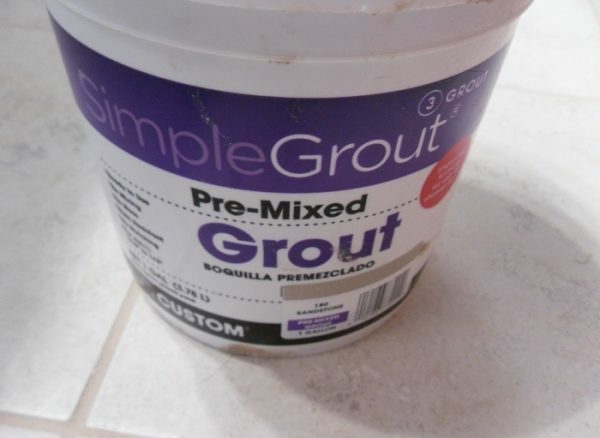 We used several products that I’m going to be reviewing, including SimpleGrout Pre Mixed Tile Grout. We have used SimpleGrout before when we freshened up our kitchen. We thought the SimpleGrout pre-mixed tile grout was super easy to use back then and it still looks great after a year on our kitchen floor. 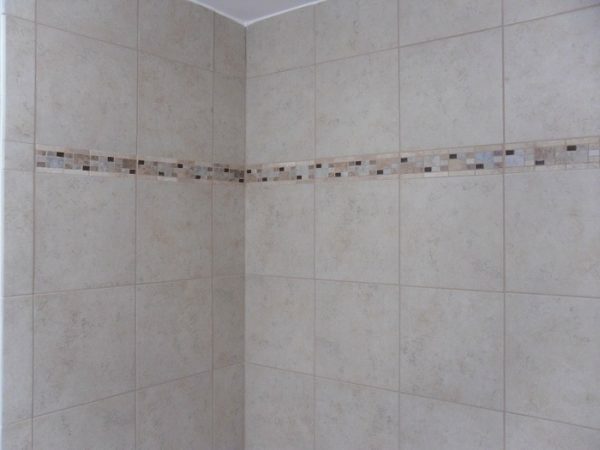 So, naturally we went back to use SimpleGrout by Custom Building Products when it was time to remodel the bathroom! SimpleGrout is what it says it is. Simple Tile Grout! It’s pre-mixed for your convenience and applied to the tile joints exactly as you would apply any other grout. Simply follow the instructions on the container. SimpleGrout is available in a number of colors. We used the color “Sandstone”, which we think is a nice compliment to the Briton Bone wall and floor tile that we selected for this project. You apply the grout using a grout float by working it into the joints. After applying the grout, you remove the excess by moving the float diagonally across the joints, holding the float at a 70 degree angle. Use a clean wrung out damp grout sponge <- designed for this purpose- to clean up excess grout from on the tiles. This is important. Clean the tiles nicely, and you’ll save yourself from a big headache later. Note: change the water in your bucket often to keep it clean and fresh! The tub of grout says after 4 hours you can ‘dry towel’ the tiles to remove any excess grout left over (clean it up good before with a sponge and it makes this step a breeze!) If you didn’t do a good job cleaning up with a sponge, you could spend several hours on this step! It feels like you’re “sanding off” the excess grout from the surface of the tiles with the towel during this step. Apply a little pressure and have at it! Run your fingers along the edges of the tiles to feel grout that is on the surface that needs to be removed. After 24 hours it’s time to wash your tiles with a clean, damp sponge to get any haze off. After the haze is gone, you’re good to go! Don’t take my advice, follow the instructions on the SimpleGrout bucket! Want to see more of our photos? Check out our –> Bathroom Remodel! 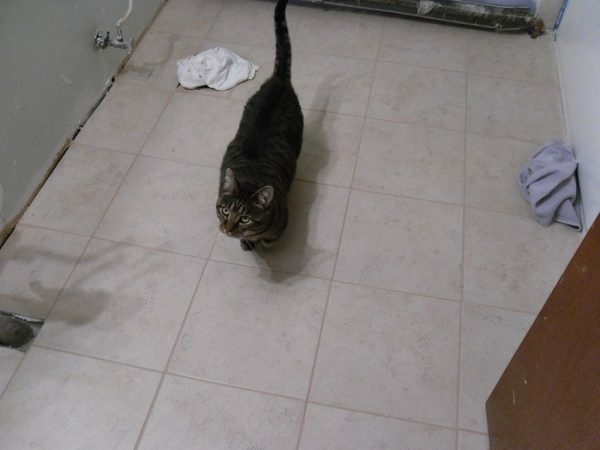 Like I said, the first time we used the SimpleGrout was for our kitchen floor, and it’s held up beautifully. It’s held up so well, we decided to use it when we remodeled our bathroom for the bathtub wall surround and bathroom floors. 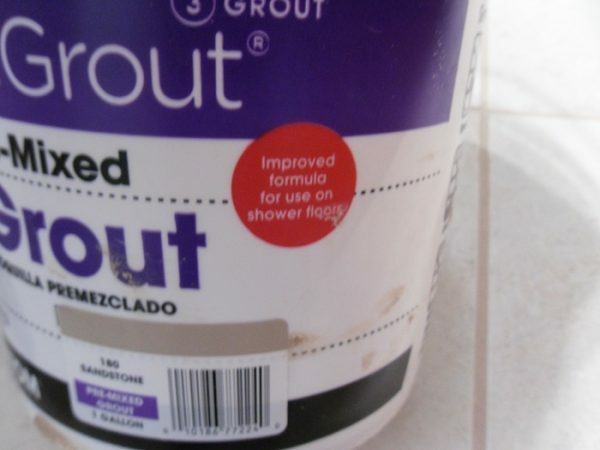 I did notice that on the bucket of SimpleGrout it has a printed on ‘sticker’ that says improved formula for shower floors. I wouldn’t hesitate to use this on a tiled shower floor. As a matter of fact, when we remodel our Master Bathroom, I might forego the shower pan and go with a tiled shower floor instead!